Mauricio Pochettino led Tottenham Hotspur to a comfortable third in the 2017/18 Premier league campaign, securing UEFA Champions League football for another season. 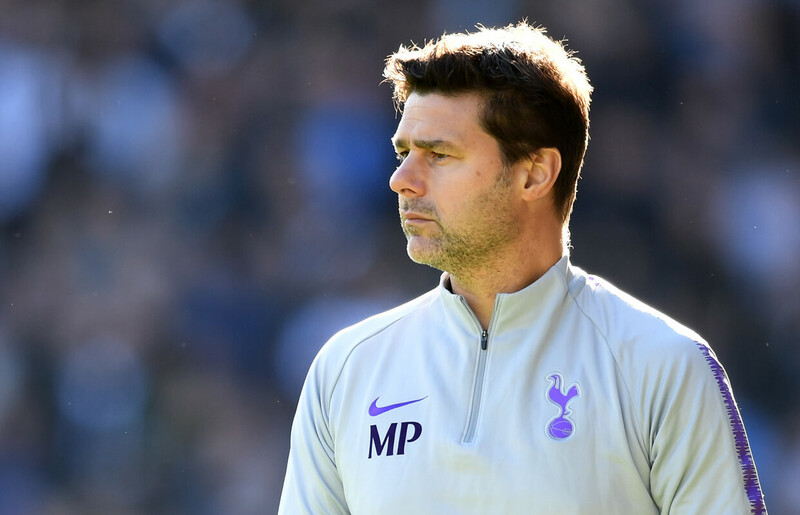 This is the Argentinian’s fifth full season in charge of Spurs, and it has witnessed his best start, with 27 points coming from the team’s first 12 games. They are still only fourth, however, with Manchester City, Liverpool and Chelsea all having superb early campaigns. All this, of course, after a summer in which Spurs became the first team in Premier League history to make not one single signing during the transfer window. But was that necessarily a bad thing? In his time in north London, Pochettino (below) has proven his ability to find genuine talents at incredible value – think Dele Alli for £5m, Eric Dier for £4.5m, Kieran Trippier for £3.5m and Toby Alderweireld for £12m – but his record when spending big is perhaps more questionable. Centre-back Davinson Sanchez may still prove an excellent signing for £42m, but not one of Moussa Sissoko for £30m, Serge Aurier for more than £20m and Vincent Janssen for £17m represents money well spent. If Tottenham are going to reinvest in the squad in January – and with the cost of their new stadium seemingly rising by the week, there is no obvious evidence to suggest they will – then another top centre-back must be a priority with Alderweireld’s long-term future still uncertain. Christian Eriksen, for so long the club’s chief creative influence, has been struggling with injury; while, despite the encouraging form of Lucas Moura and growing influence of Erik Lamela, too much still rests on the broad shoulders of Harry Kane up front. If the England captain misses any significant spell, Spurs’ season – and hopes of winning a first piece of silverware under their popular manager – will surely suffer. Despite claiming their best ever points tally at this stage of a Premier League season, Tottenham aren’t scoring any more goals. In 12 games they have scored 20 goals, matching their tallies of both last season and 2015/16. 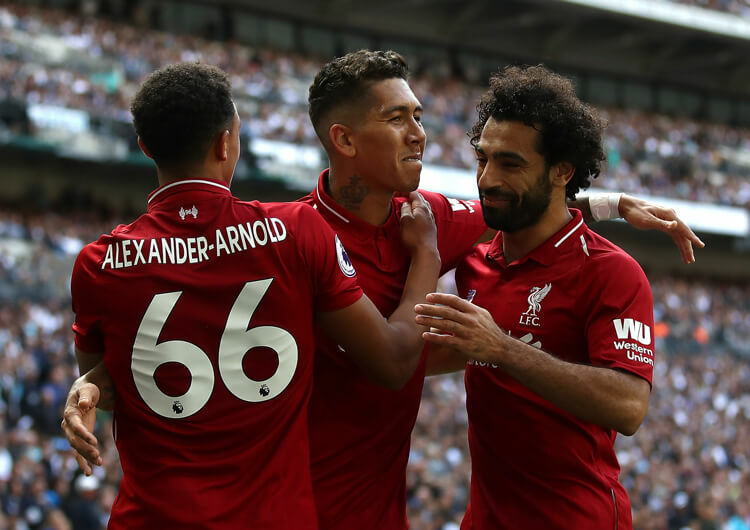 They are, however, improving when it comes to converting draws into wins – six of their nine league victories have been by a single goal, while they are yet to register a single draw in the Premier League (every other team has drawn at least two). 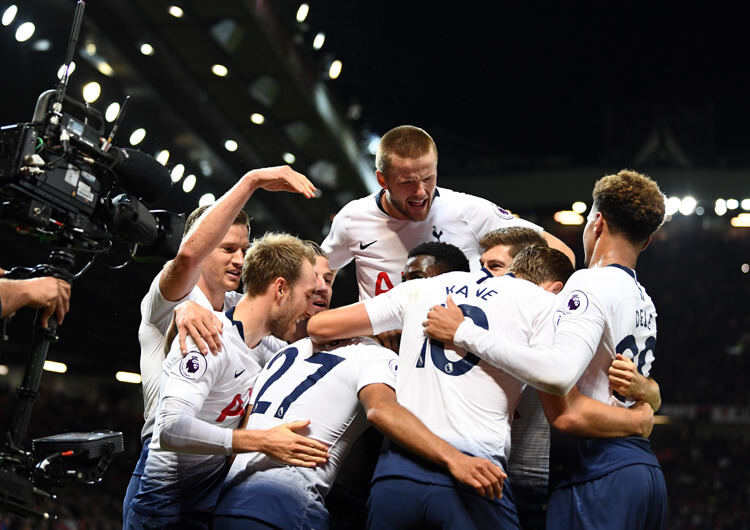 In four previous seasons under Pochettino, they have averaged four draws and three defeats from their opening 12 games – converting the former into wins explains their improved points haul. In front of goal, their accuracy is also on the up – just over 40 per cent of their shots are on target, compared with 30-35 per cent over the past four seasons. They are taking better shots, then, but also fewer – having averaged 17 shots per game over the past three seasons, they are this season down to an average of 12, and in two games haven’t even reached double figures. This is borne out by their individual shot stats. Harry Kane has predictably had more shots than any of his teammates – 40, behind only Sergio Aguero, Mo Salah and Aleksandar Mitrovic in the division – but he is the only Tottenham player in the league’s top 40 for this particular stat. Christian Eriksen is next in, with only 18. Whether out of necessity or design, Pochettino has been more experimental with his starting formations this season. On five occasions he has favoured two central strikers in attack, including at Watford (above) in their first defeat of the season; last term, he used one central striker 84 per cent of the time. The manager has deployed multiple variations this season, both with a back three and a back four. He has utilised a flat 4-4-2, a diamond 4-4-2 and his trusted 4-2-3-1 structure. When using a back three, he has frequently changed his midfield personnel and set up in a 3-4-2-1 and a 3-1-4-2. Perhaps tellingly, however, every time Tottenham have faced a fellow top-six team – in victory against Manchester United and in defeats to Liverpool and Manchester City – Pochettino has selected a back four. With so many changes, it’s perhaps surprising that Spurs have retained their solid defensive record. 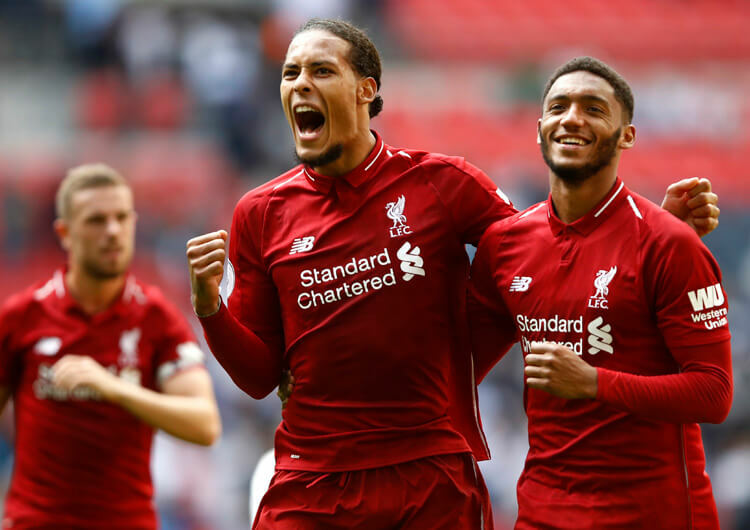 They have conceded only 10 goals in their 12 games, although their average per game is slightly higher when setting up with a back three – three in three as opposed to seven in nine. Half of the goals they have conceded in the Premier League have come from defensive set-pieces – an increasing frailty that has also reared its ugly head in Carabao Cup and Champions League games. Of the five open-play goals Spurs have conceded thus far, however, four have originated from balls played over their advanced full-backs in a back four – including the second goal Liverpool scored in a 2-1 victory at Wembley (above), albeit Michel Vorm then gifted Roberto Firmino a simple finish. There is no question that the gaps between full-back and centre-back is a problem for this team, with opponents looking to low crosses in a bid to avoid an aerially strong unit in central defence. Despite being slightly weaker defensively when setting up with a back three, Spurs have been better going forward – averaging two goals a game as opposed to 1.5 when starting with a back four. One key aspect here is the instant width that both wing-backs – normally Kieran Trippier on the right, and either Ben Davies or Danny Rose on the left – naturally provide high up the pitch when the team regains possession. The opposition defence can in this instance become horizontally stretched, meaning more gaps will appear within the back line. From here, Harry Kane has more room to attack crosses, and can create bigger windows to shoot on goal. The likes of Dele Alli, Erik Lamela and Lucas Moura can also profit, with more space and gaps to make penetrative forward runs in behind – as was evident in Lamela’s opening goal in the 3-2 win over Wolves earlier this month (above). Even from deeper positions, Mousa Dembele, Harry Winks and Christian Eriksen can also find enhanced pockets of space to receive between the lines, and then create forward passing combinations within the central lane. It has taken a while, but star striker Harry Kane (above) looks like he is returning to peak condition. Still only two goals behind Sergio Aguero in the scoring charts, Kane’s steady return of six goals from 12 games has contributed to Tottenham’s record points haul after 12 games. He is, however, taking fewer shots per game – despite still being the side’s top shooter by a mile, he hasn’t yet taken more than five shots in any league game this season. But is this just a matter of sharpness? Interestingly, Kane’s passes per match are at a three-year high, and his average position has become much deeper than in recent years. As discussed, Pochettino has often adopted a two-striker approach this season. Lucas Moura, Son Heung-min and even Dele Alli have all joined Kane at points; it is natural for any of them to make more penetrative runs in behind, while Kane remains short to pin centre-backs, and combine or spin to progress the ball forward. Therefore, it has been no surprise to see his strike partners get closer to the opposition goal while Kane drops further away (above). This may also explain why he is performing fewer sprints per match, and has hit top speed far less often this season – simply because it isn’t needed in a new role that hasn’t been limited to his club career. England’s goals on the break against Spain in the Nations League show perfectly how Kane can link the play, using much quicker and agile runners in behind. Kane has been on an upward trajectory in terms of Premier League goals – 21, 25, 29 and 30 in the past four seasons – but with his game evolving it might be that he has already hit his natural goalscoring peak. Whether he looks fresh or not, though, goals are almost guaranteed. 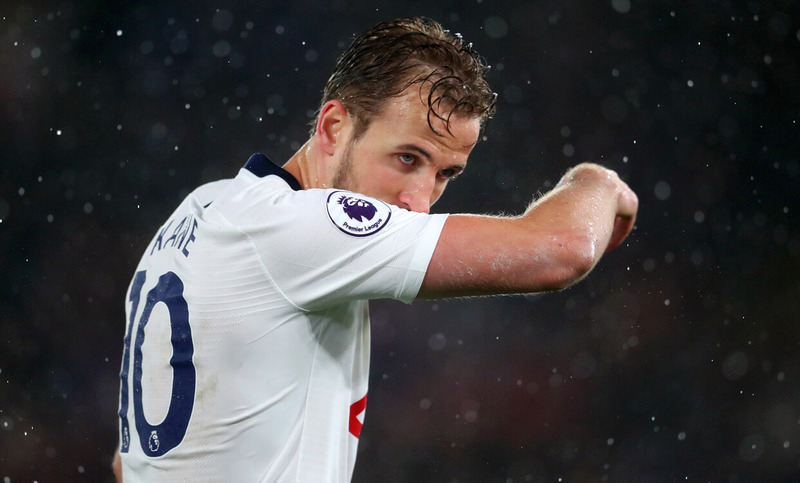 Kane is one of the few strikers in the world who is consistently deadly from open play, counter-attacks, set-pieces and even during those far-post scrambles – which, as he well knows, count as much as anything else.